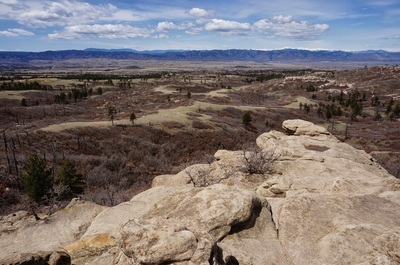 Directions: From Denver, take I-25 south and exit at Castle Pines. 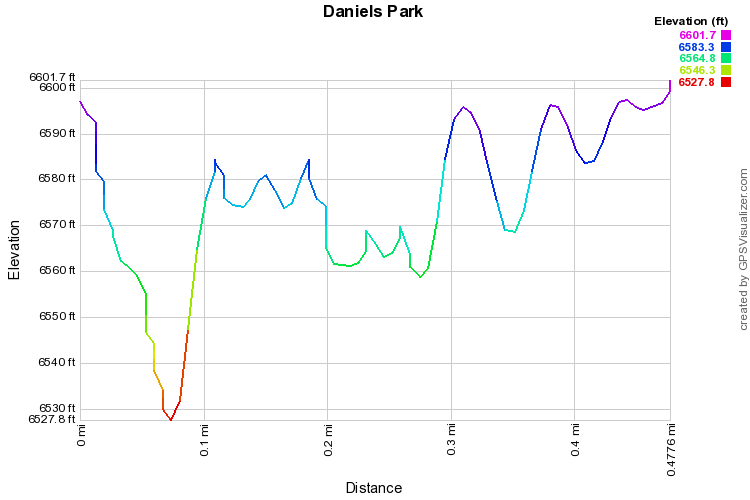 Take the Castle Pines Parkway west and turn right (west) onto Daniels Park Road. 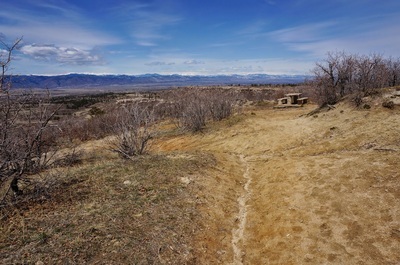 Park at the Picnic Area. 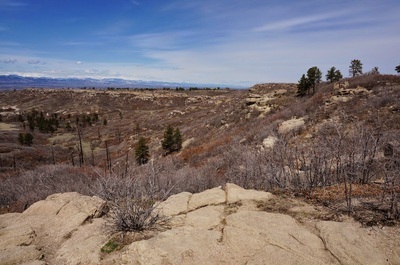 Daniels Park is an odd duck in the Denver Mountain Park System. 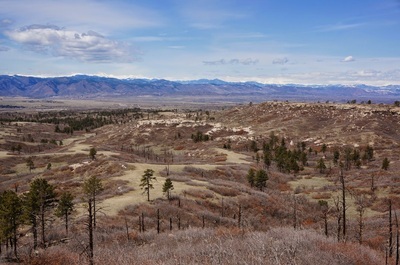 First of all, it is the only Denver Mountain Park in Douglas County. 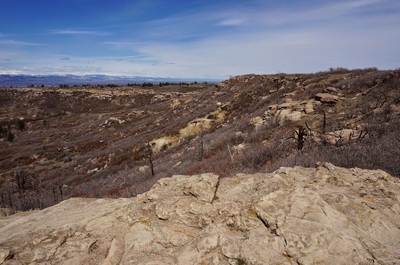 It is also massive, the largest park in the system, but only a small portion of the park is open to public recreation. 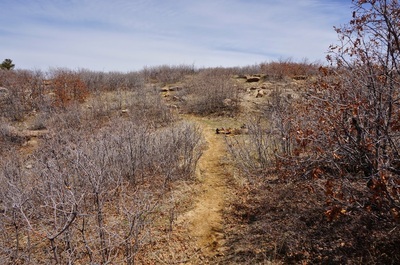 There are no trails in the park except for social trails connecting the picnic areas. 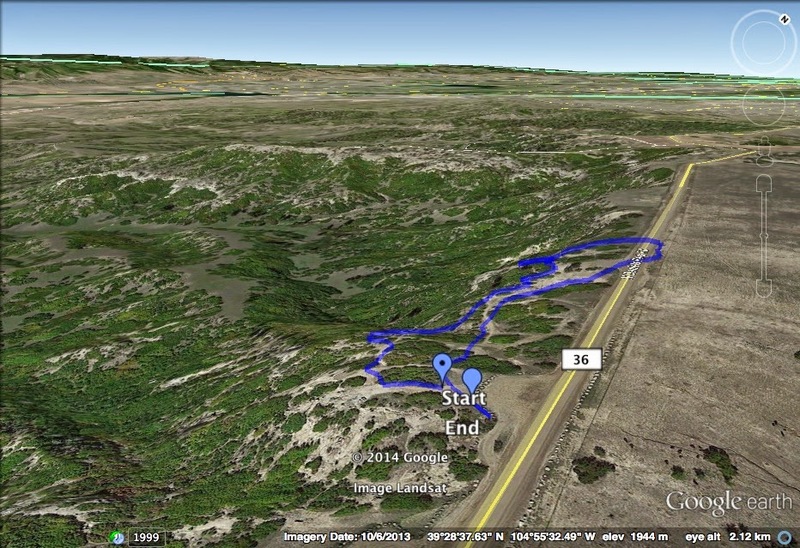 However, hiking along these trails provides one of the best views of the Front Range that you can get. 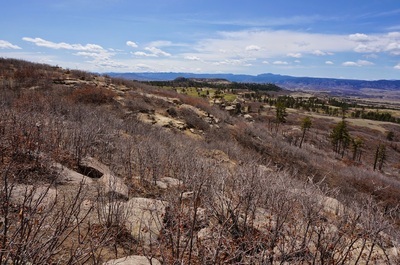 You can explore where you like as the trails all follow the edge of a cliffside and it's impossible to get lost, just be careful for loose rock. 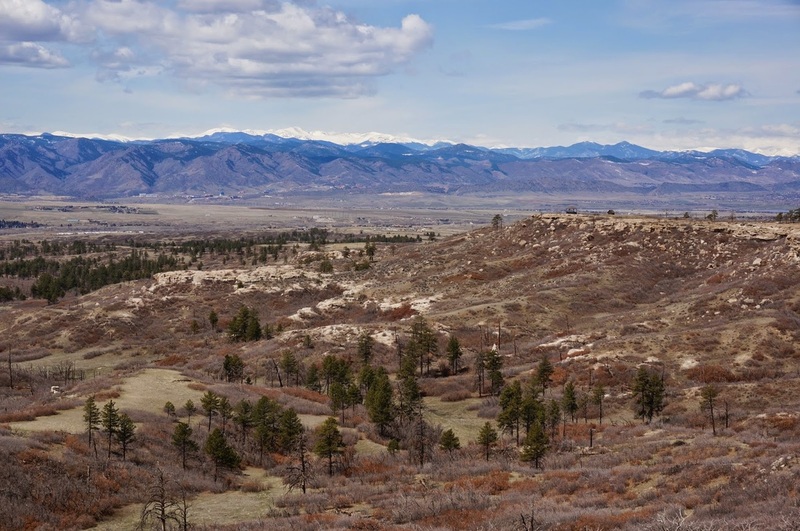 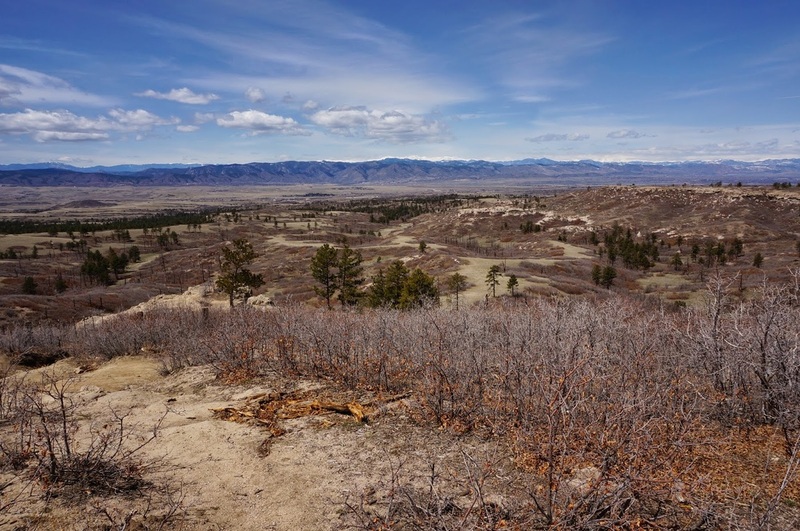 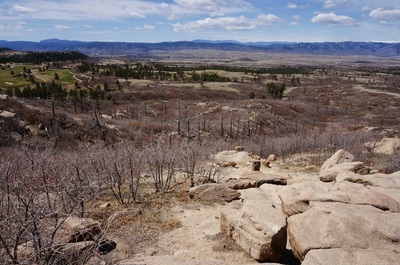 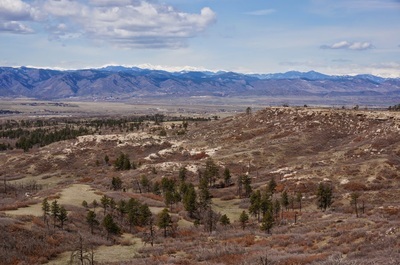 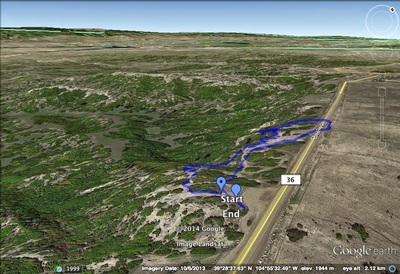 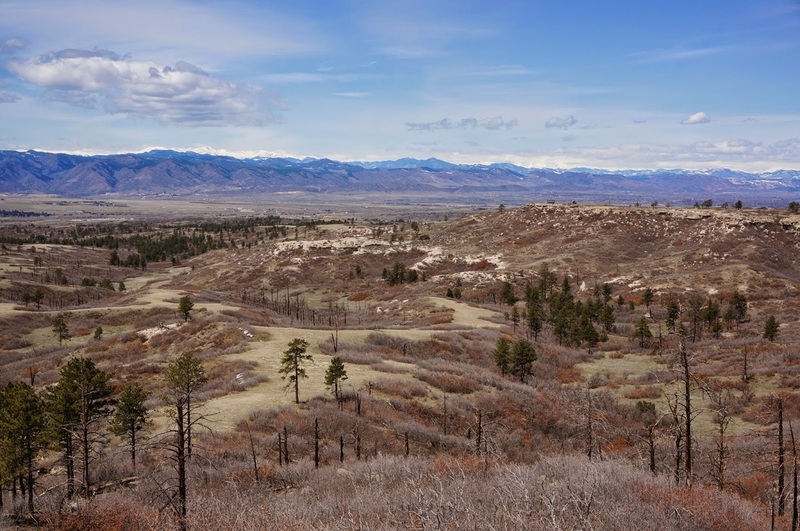 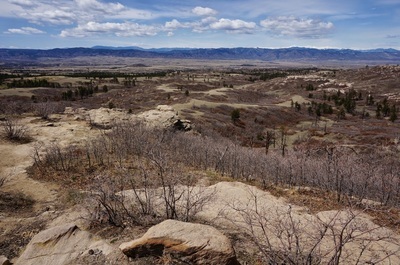 The park is adjacent to the Highlands Ranch Backcountry Wilderness Area which does have a trail system so it is a great place to explore as an add-on to another hike in the area.